Ohaus Adventurer AX523N/E NTEP Certified BalanceThe Ohaus Adventurer NTEP legal for trade AX523N/E combines unsurpassed value with solid reliability with an NTEP legal for trade balance. Adventurer balances are affordable, accurate and easy to use for all of your basic weighing needs. The Adventurer family offers legal for trade capacity of 520 g x 0.01 g.
Ohaus Adventurer AX8201N/E Legal for Trade Balance 8200gThe Ohaus Adventurer NTEP legal for trade balance combines unsurpassed value with solid reliability with an NTEP legal for trade balance. Adventurer balances are affordable, accurate and easy to use for all of your basic weighing needs. The Adventurer AX8201N/E offers legal for trade capacity of 8200 x 1 g.
Ohaus Adventurer AX423N NTEP Certified BalanceThe Ohaus Adventurer NTEP legal for trade AX423N combines unsurpassed value with solid reliability with an NTEP legal for trade balance. Adventurer balances are affordable, accurate and easy to use for all of your basic weighing needs. The Adventurer family offers legal for trade capacity of 420g x 0.01g and features AutoCal. Ohaus Adventurer AX4202N/E NTEP Certified BalanceOhaus Adventurer NTEP legal for trade AX4202N/E combines unsurpassed value with solid reliability with an NTEP legal for trade balance. 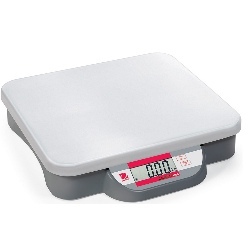 Adventurer balances are affordable, accurate and easy to use for all of your basic weighing needs. The Adventurer family offers legal for trade capacity of 4200 g x 0.1 g.
Ohaus Adventurer AX622N/E NTEP Certified BalanceThe Ohaus Adventurer NTEP legal for trade AX622N/E combines unsurpassed value with solid reliability with an NTEP legal for trade balance. Adventurer balances are affordable, accurate and easy to use for all of your basic weighing needs. The Adventurer family offers legal for trade capacity of 620 g x 0.1 g.
Ohaus Adventurer AX2202N/E NTEP Certified BalanceThe Ohaus Adventurer NTEP legal for trade AX2202N/E combines unsurpassed value with solid reliability with an NTEP legal for trade balance. Adventurer balances are affordable, accurate and easy to use for all of your basic weighing needs. The Adventurer family offers legal for trade capacity of 2200g x 0.1 g.
Ohaus Adventurer AX223N/E NTEP Certified BalanceThe Ohaus Adventurer NTEP legal for trade AX223N/E combines unsurpassed value with solid reliability with an NTEP legal for trade balance. Adventurer balances are affordable, accurate and easy to use for all of your basic weighing needs. 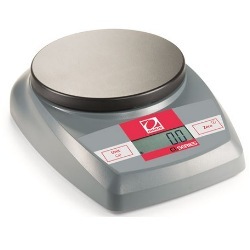 The Adventurer family offers legal for trade capacity of 220 g x 0.01 g.
Ohaus Adventurer AX124/E Analytical BalanceOhaus Adventurer AX124/E Balance offers the most standard features and options than any other analytical balance in its class, the Adventurer Pro has the flexibility to meet your application needs. External calibration. 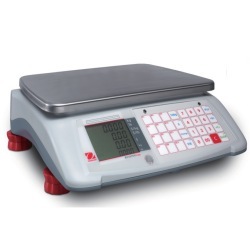 Cap: 120g x 0.1 mg.
Ohaus Adventurer AX224 Analytical BalanceOffering the most standard features and options than any other balance in its class, the Ohaus Adventurer AX224 has the flexibility to meet your application needs. Internal calibration. Cap: 220 grams x 0.1 milligram. Ohaus Adventurer AX224/E Analytical BalanceOhaus Adventurer AX224/E offers the most standard features and options than any other balance in its class, the Adventurer has the flexibility to meet your application needs. External calibration. Cap: 220g x 0.1 mg.
Ohaus Adventurer AX5202 Balance 5200 x 0.01gThe Ohaus Adventurer AX5202 AutoCal Balance combines unsurpassed value with solid reliability. Adventurer balances are affordable, accurate and easy to use for all of your basic weighing needs. The Adventurer family offers capacities of 5200g X 0.01g. internal calibration. Ohaus Adventurer AX2202/E Balance 2200 x 0.01gOhaus Adventurer AX2202/E balance combines unsurpassed value with solid reliability. Adventurer balances are affordable, accurate and easy to use for all of your basic weighing needs. The Adventurer family offers capacities of 2200g x 0.01g. Ohaus Adventurer AX2202 Balance 2200 x 0.01gOhaus Adventurer AX2202 AutoCal Balance combines unsurpassed value with solid reliability. Adventurer balances are affordable, accurate and easy to use for all of your basic weighing needs. The Adventurer Pro family offers capacities of 2200g x 0.01g. internal calibration. Ohaus Adventurer AX1502/E Balance 1520 x 0.01gThe Ohaus Adventurer AX1502/E family combines unsurpassed value with solid reliability. Adventurer balances are affordable, accurate and easy to use for all of your basic weighing needs. The Adventurer family offers capacities of 1520 x 0.01g. External calibration. Ohaus Adventurer AX1502 Balance 1520 x 0.01gThe Ohaus Adventurer family combines unsurpassed value with solid reliability. Adventurer balances are affordable, accurate and easy to use for all of your basic weighing needs. The Adventurer AX1502 family offers capacities of 1520 x 0.01g. internal calibration. 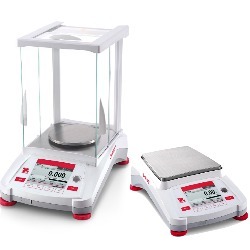 Ohaus Adventurer AX324 Balance 320g x 0.1mgThe Ohaus Adventurer AX324 analytical balance combines unsurpassed value with solid reliability. Adventurer balances are affordable, accurate and easy to use for all of your basic weighing needs. The Adventurer family offers capacities of 320g X 0.1 mg. internal calibration. Draftshield. Ohaus Adventurer AX4201/E Balance 4200 x 0.1gAX4201/E Adventurer balance from Ohaus combines unsurpassed value with solid reliability. Adventurer balances are affordable, accurate and easy to use for all of your basic weighing needs. The Adventurer family offers capacities of 4200g X 0.1g. External calibration. Ohaus Adventurer AX4201 Balance 4200 x 0.1gOhaus Adventurer AX4201 AutoCal Balance combines unsurpassed value with solid reliability. Adventurer balances are affordable, accurate and easy to use for all of your basic weighing needs. The Adventurer family offers capacities of 4200g x 0.1g. internal calibration. Ohaus Adventurer AX8201 Balance 8200 x 0.1gThe Ohaus Adventurer AX8201 AutoCal Balance combines unsurpassed value with 8200g x 0.1g capacity x readability. Adventurer balances are affordable, accurate and easy to use for all of your basic weighing needs. Internal calibration. Ohaus Adventurer AX8201/E Balance 8200 x 0.1gOhaus Adventurer AX8201/E balance combines unsurpassed value with solid reliability. Adventurer balances are affordable, accurate and easy to use for all of your basic weighing needs. The Adventurer family offers capacities of 8200g x 0.1g. External calibration. Ohaus Adventurer PRO AV412C Balance 410 x .01gThe Ohaus Adventurer Pro AV412C combines unsurpassed value with solid reliability. 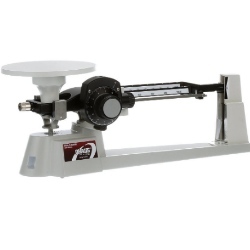 Adventurer Pro balances are affordable, accurate and easy to use for all of your basic weighing needs. The Adventurer Pro family offers capacities of 410g X 0.01g. "C" models have internal calibration. Ohaus Adventurer AX4202 Balance 4200 x 0.01gThe Ohaus Adventurer combines unsurpassed value with solid reliability. Adventurer balances are affordable, accurate and easy to use for all of your basic weighing needs. The Adventurer family offers capacities of 4200 x 0.01g. Internal calibration. Ohaus Adventurer AX423 Balance 420g x 1mgOhaus Adventurer balance with 420g X 1mg capacity combines unsurpassed value with solid reliability. Adventurer Pro balances are affordable, accurate and easy to use for all of your basic weighing needs. Internal calibration. Ohaus Adventurer AX224N NTEP BalanceOhaus AX224N offers the most standard features and options than any other balance in its class, the Adventurer balance has the flexibility to meet your application needs. internal calibration. NTEP Cap: 220g x 1 mg.
Ohaus Adventurer AX822/E Balance 820g x 0.01gThe Ohaus Adventurer AX822/E combines unsurpassed value with solid reliability. Adventurer balances are affordable, accurate and easy to use for all of your basic weighing needs. The Adventurer family offers capacities of 820 x 0.01g. 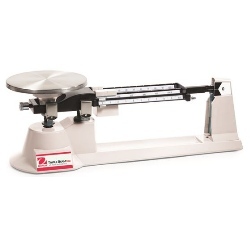 Ohaus Catapult 1000 Bench Scale 165 lb.With its rugged design, economical form, and OHAUS quality, the Catapult 1000 C11P75 compact bench scale offers reliability and precision performance in an affordable, compact design. The Catapult 1000 family offers 165 lb capacity reading in pounds and kilograms, with both weighing and dynamic weighing modes.